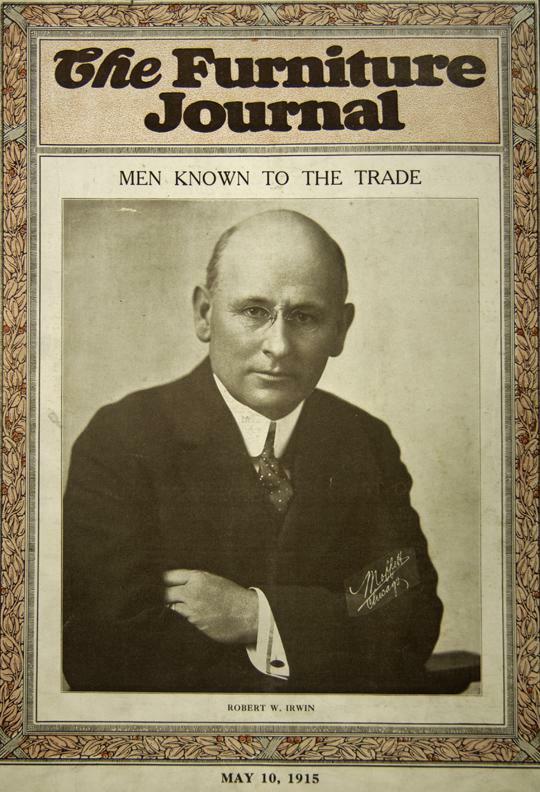 Robert W. Irwin is featured on the cover of the May 10, 1915 issue of The Furniture Journal, a Chicago publication. The pose captures Irwin from the waist up with his arms folded. The photographer is identified as the Moffett Studio of Chicago. The Moffett Studio of Chicago began in 1905 and was considered, "The premier venue for visually recording civic culture in the 1910s and 1920s." The studio was located at 57 E. Congress across from the Auditorium Building.